The increase in the need to have a network driven life has provided the cyber attackers a more connected space to breach. Cybercrimes in Malaysia have increased at an average of 10,000 cases per year. In 2015, there were 1,714 cases of hacks, however, only in the first half of 2017, 1,705 incidents have been reported in the country. 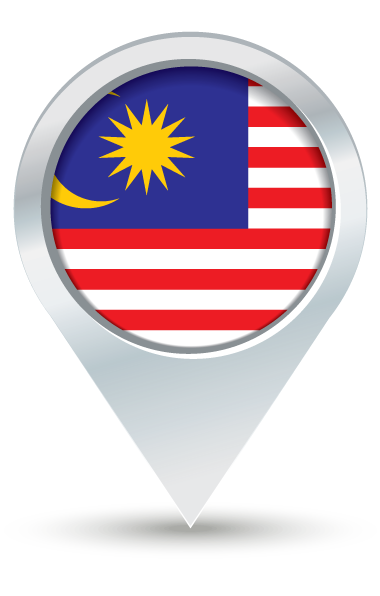 Looking at Malaysia, it is ranked 33 in terms of social media scams on a global scale. Malaysia’s IT Industry comprises of 72.4% percent of spear phishing attacks, 47th globally for ransom ware attacks and found 430 million malware variants in the year 2015. With such alarming figures, the country needs incident management measures and fully trained skilled, efficient, regular and multi-layered information security team. Covering an exhaustive and wide range of domains and functions, EC-Council Online Ethical Hacking Training and Ethical Hacking Certification provide not only subject matter expertise but also emphasizes on on-the-spot crisis prevention and management. With the primary need to constantly keep the system updated and improve from the time it was being built, the list of courses offered address this basic need. EC-Council developed the first ever Certified Ethical Hacker Malaysia course that is recognized as a necessary skill set for anyone wanting to enter the Information Security domain of an organization. The ethical hacking online training CEH not only focuses on just the data and network suspects of infrastructural security but physical aspects of infrastructural security as well. Ethical Hacking Malaysia enables you through various topics and practical sessions on how to find and explore every possible point of vulnerable entry which makes the weakest link in the system that would be used to penetrate by a Black Hat Hacker and cause damage and loss to the organization. With in depth focus on attack vendors, cloud computing, detailed pen testing methodology, securing mobile infrastructure, shellshock, poodle, security laws and standards etc, it makes for the most advanced foundational course making it the Best Ethical Hacking Course Malaysia. This Hacking Course Malaysia prepares you for EC-Council Certified Ethical Hacker exam 312-50. EC-Council’s CEH Certification Malaysia organizes sessions on various topics of cyber security training Malaysia pertaining to ethical hacking, pen testing, basic system security, internet security etc across various locations. To find out and register for a class at your nearest location, Click here. All courses are available online, at training centers and client-site.